I have had a booky kind of day with some happy hours spent rummaging through thousands of second hand books and adding to my France collection. It therefore seemed a good idea to add my latest book review, Toute Allure by local author Karen Wheeler. 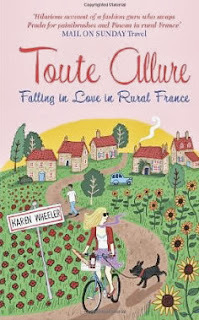 Toute Allure: Falling in Love in Rural France is the second book about her life in Poitou-Charentes, France, a life that is very different from the glamour of the London fashion world she has left behind. You can read my review of her first book Tout Sweet here. We left Karen nicely settled into her new community having almost finished the renovations of her village house and we find her hoping to meet someone special to share her life with. She is finally over the Ex and there are a few friendly faces she has bumped into, so she is in an optimistic mood. 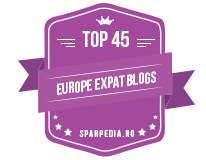 Karen takes us into the somewhat bizarre world of the expat in France where stress levels rise at the local quiz night and tempers get frayed in the Entente Cordial line-dancing group (oh yes, London fashionista becomes French line dance addict). She certainly knows how to enjoy herself, but the funniest bits for me are the descriptions of the weird and wonderful members of the community that she now finds herself in. The quiet life she was expecting takes a bit of a detour with the arrival of the Portuguese builders into the house next door, who enjoy late night music and street barbecues, behaviour that doesn’t endear them to the neighbours. There is another side to Toute Allure, it is also the story of how two soul mates meet and eventually find a way to be together forever. This is a love story with a difference and was so readable it paralysed me for two days. Living in the same area Karen lives in, I love that some of the places and things she writes about are familiar sounding and since reading her first book I’ve often thought how nice it would be to meet her for a coffee or a glass of wine. Having now read this, it is Biff (the four legged love of her life) I want to meet! Sorry Karen, but you paint such a beautiful picture of him with your words I want to run and chase deer in the Poitou-Charentes hills with him and our dog Mini. I can honestly say there was nothing I didn’t like about this book, except that it ended. I know a lot of you love memoirs on life in France so if you haven’t read it, it should be on your ‘to read’ list, especially if you are a dog lover as well. I'm now looking forward to reading Tout Soul, book three, before Karen finishes book four Sweet Encore: A Road Trip from Paris to Portugal which is due out next year. Toute Allure: Falling in Love in Rural France , Tout Sweet: Hanging Up my High Heels for a New Life in France and Tout Soul: The Pursuit of Happiness in Rural France are all available in paperback and ebook formats, with links to Amazon.co.uk below. Karen has also written a great book exploring the French way of eating for pleasure and to maintain a healthy weight, The Marie Antoinette Diet: Eat Cake and Still Lose Weight . 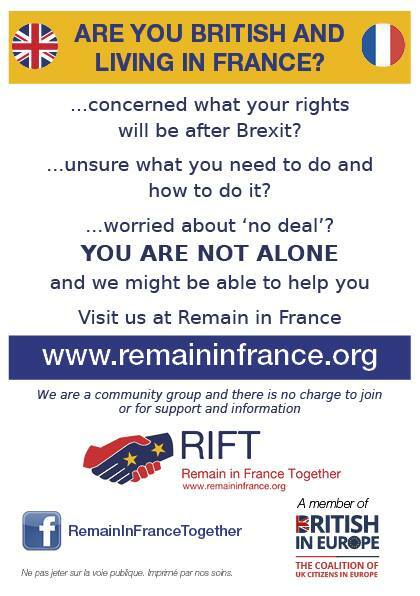 I have read this and can recommend it as I thought the advice was very sensible and easy to follow. There are also some great soup and cake recipes included. I will review it in more detail here soon. 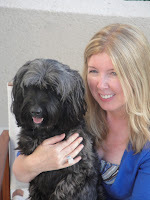 You can read more about Karen, her love of France and the Marie Antoinette diet in my France et Moi interview with her here.